Snowbird, UT (June 9, 2015) –Utah Attorney General Sean Reyes welcomed approximately 700 multi-disciplinary professionals from across Utah to the 20th Anniversary of the Utah Children’s Justice Symposium / Utah Prosecution Council Domestic Violence Conference today at Snowbird Ski and Summer Resort. Each year, law enforcement, child protective services specialists, prosecutors, medical and mental health professionals, victim advocates and Children’s Justice Center (CJC) staff unite for training and collaboration. The conference will continue through June 10, 2015, with many of the sessions closed to the media and public due to victim privacy concerns. AG Reyes urged attendees to participate in the One With Courage campaign by helping other adults learn how to speak up for children threatened by child sexual abuse. He said, “One With Courage is not intended for children. We want adults who suspect or are aware of abuse to speak up, rather than leaving that child to suffer now and into their adulthood.” The public is invited to participate in One With Courage with details at onewithcourageutah.org. In addition to the Attorney General’s Office administering the CJC program, the office’s Child Protection Division, under the leadership of Dave Carlson, recently received the Governor’s Award for Excellence for Outstanding Public Service. 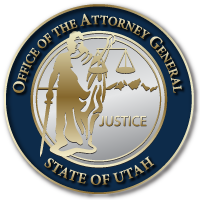 He, and 36 other Child Protection Division assistant attorneys general and their capable staff, many of whom are attending the symposium, work day in and day out with DCFS to ensure safe living environments for children, while also balancing and respecting parental and family rights.